The Roy W. Dean Film Grants funds independent feature films, documentaries, web series, and short films with budgets of $500,000 or less that are unique and make a contribution to society that, without its help, might otherwise never get made. 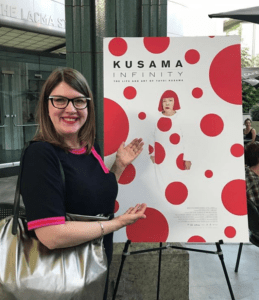 Director/Producer Heather Lenz Won The Roy W. Dean Grant for “Kusama-Infinity” Which is Now in Theaters Across the U.S. There are 3 Roy W. Dean Film Grants available each year. One for Spring, Summer, and Fall. The awards for each grant are listed below. 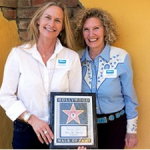 Winners of the Roy W. Dean Film Grants receive a cash award as well as goods and discounted services offered by film industry companies and professionals who care about getting good films produced. See each grant below for specific information on awards for individual grants. All grant applicants are entitled to a free 15 minute consultation. After the grant you’ve applied for has closed and your materials have been reviewed, you can schedule an appointment. Topics that can be covered include your application, improving your project, or chances for funding. $3,500.00 from From the Heart Productions. This year sponsored by Sonny Fassoulis. 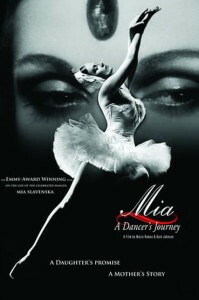 donates a reduced rate of $400.00 a day for creating your story board. 10% discount on DCP conversion service and use facility for no charge. Free consultation, marketing material creation, design, and marketing strategizing for solicitation of distribution from Smart Girls Productions. $500.00 for a one-year Tier 1 subscription of Show Starter Scheduling & Budgeting Plus software. Special FTH rate of $400.00 fee for consultation with filmmakers covering everything from preproduction to marketing by Jason Smith, Producer/Director of I Voted! $97.00 for Jason Brubaker’s step-by-step internet marketing system to build your audience. 25% discount on legal work from Mark Litwak. 40% discount on printed materials ( Postcards, Posters, Press kits, Business cards, etc.) from Copymat, Hollywood. $700 one week DSLR camera package rental from Birns & Sawyer which includes Canon 5D Mark III camera body, a 24-70mm Canon EOS lens, 2 batteries, charger, carrying case, and two 32G Compact Flash media cards. 30% Reduction on your Audio Sound editing costs by Alpha Dogs, Burbank, Ca. Skip SoRelle donates a generous discount for the entire audio post process of audio restoration, EQ, sound design and mix.